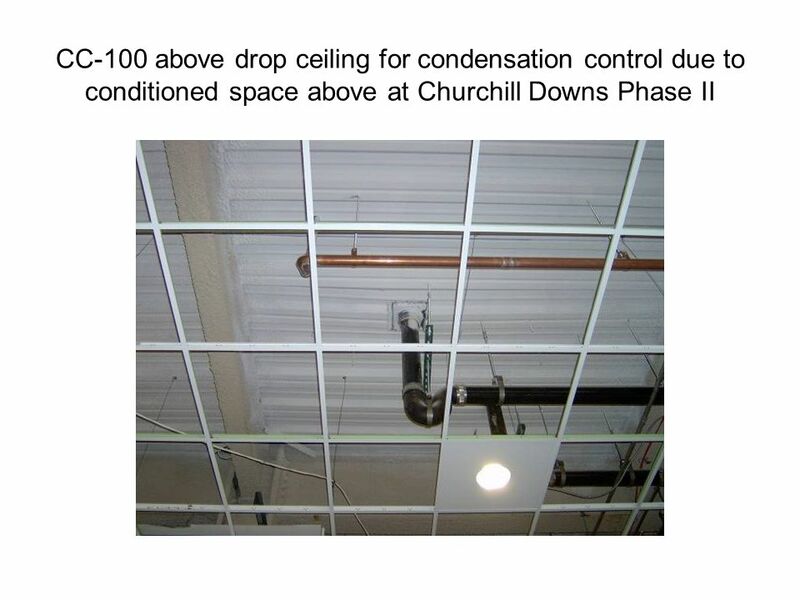 AES Specialties Contractors Ceramic Cover Systems 100 Photo Album. 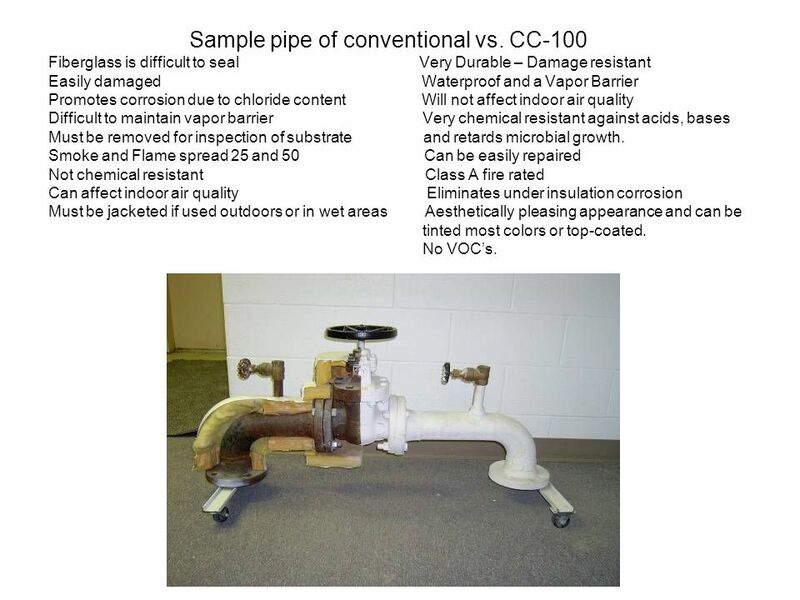 4 Sample pipe of conventional vs. CC-100 Fiberglass is difficult to seal Very Durable – Damage resistant Easily damaged Waterproof and a Vapor Barrier Promotes corrosion due to chloride content Will not affect indoor air quality Difficult to maintain vapor barrier Very chemical resistant against acids, bases Must be removed for inspection of substrate and retards microbial growth. 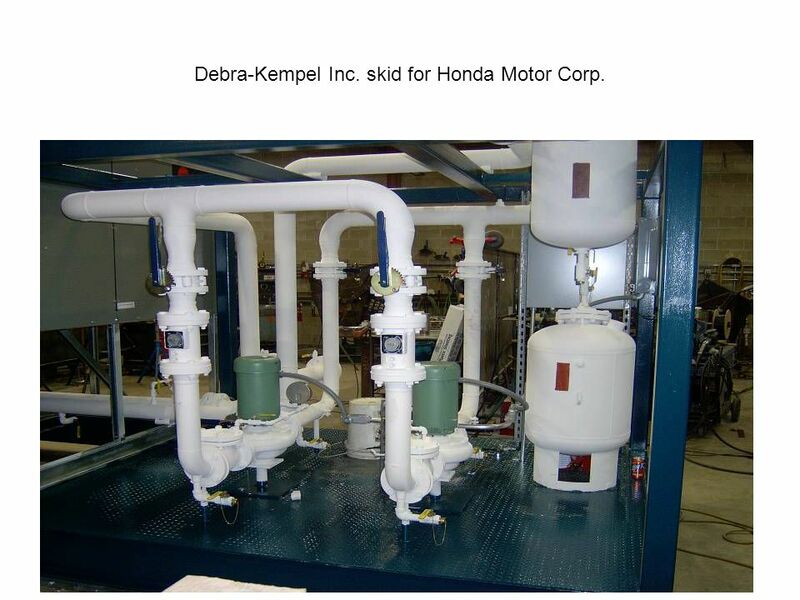 Smoke and Flame spread 25 and 50 Can be easily repaired Not chemical resistant Class A fire rated Can affect indoor air quality Eliminates under insulation corrosion Must be jacketed if used outdoors or in wet areas Aesthetically pleasing appearance and can be tinted most colors or top-coated. 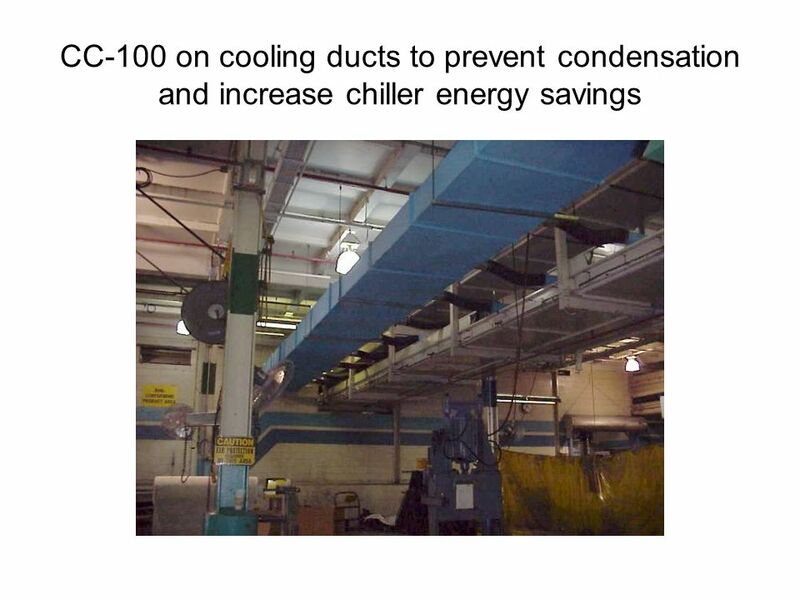 No VOCs. 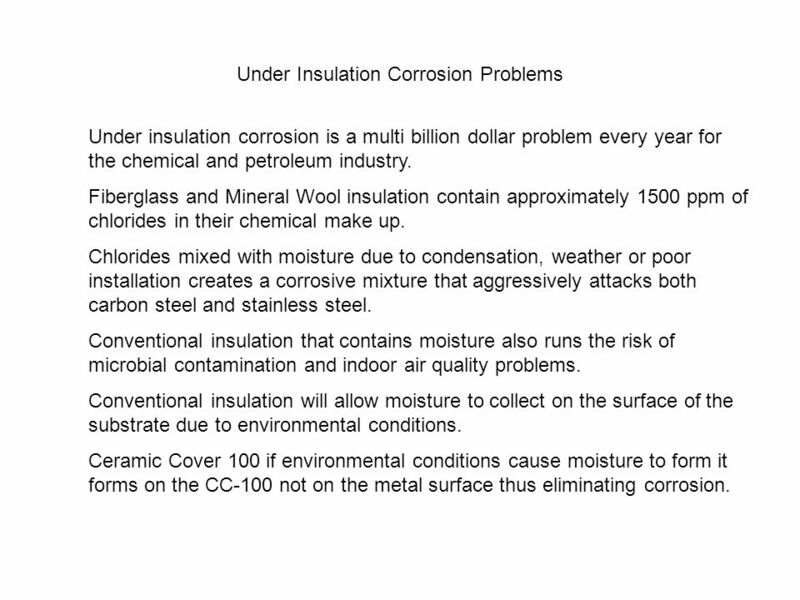 7 Under Insulation Corrosion Problems Under insulation corrosion is a multi billion dollar problem every year for the chemical and petroleum industry. 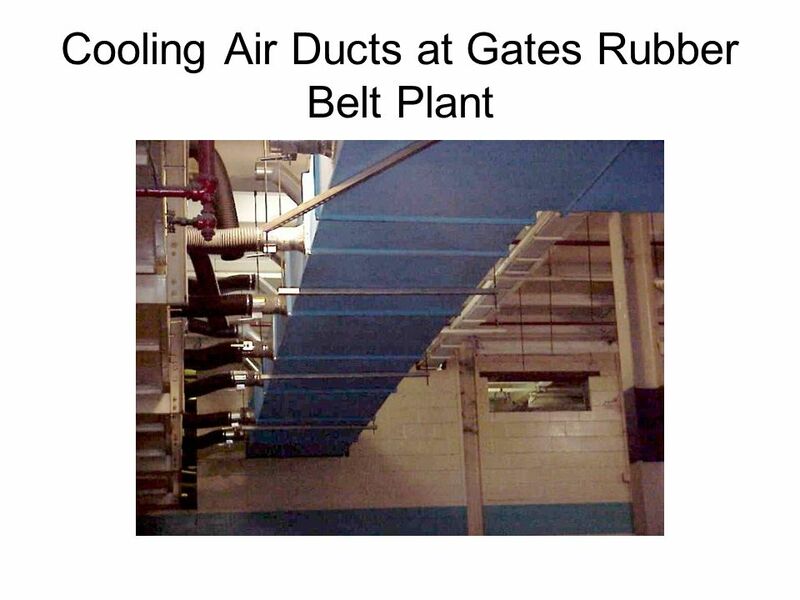 Fiberglass and Mineral Wool insulation contain approximately 1500 ppm of chlorides in their chemical make up. 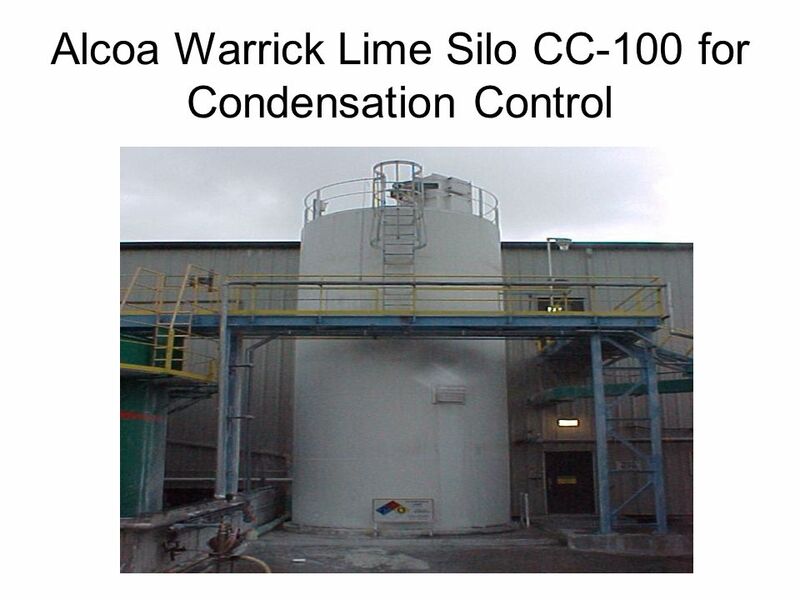 Chlorides mixed with moisture due to condensation, weather or poor installation creates a corrosive mixture that aggressively attacks both carbon steel and stainless steel. 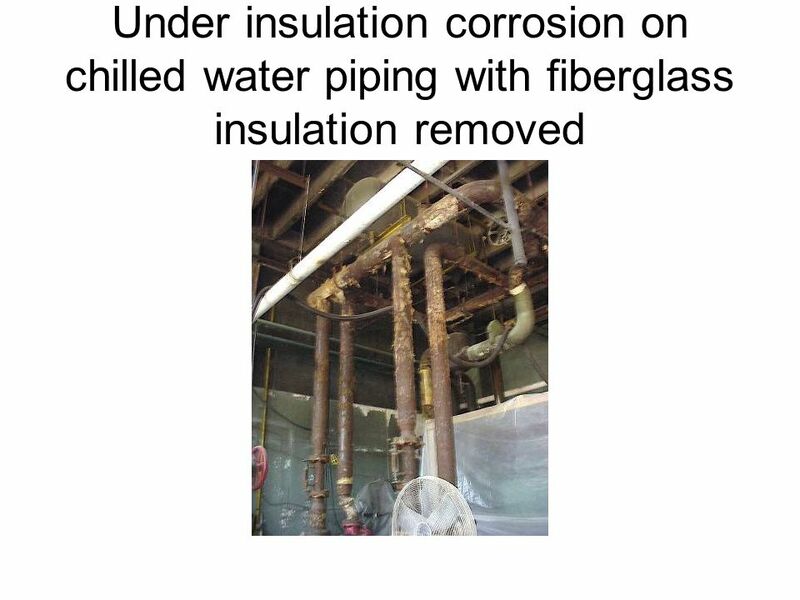 Conventional insulation that contains moisture also runs the risk of microbial contamination and indoor air quality problems. 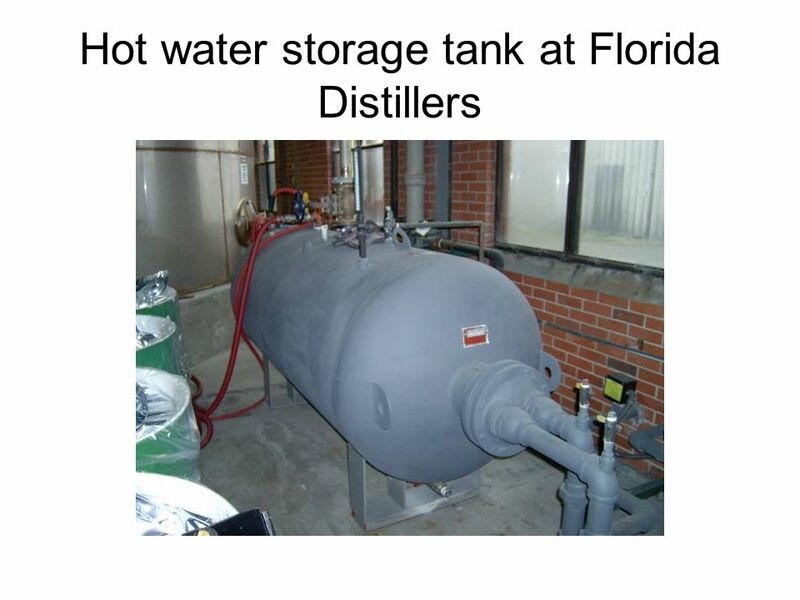 Conventional insulation will allow moisture to collect on the surface of the substrate due to environmental conditions. 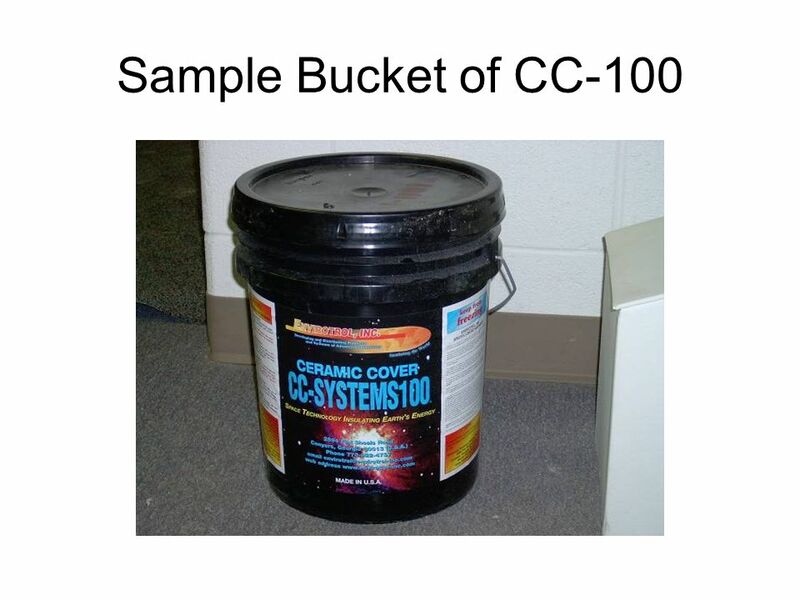 Ceramic Cover 100 if environmental conditions cause moisture to form it forms on the CC-100 not on the metal surface thus eliminating corrosion. 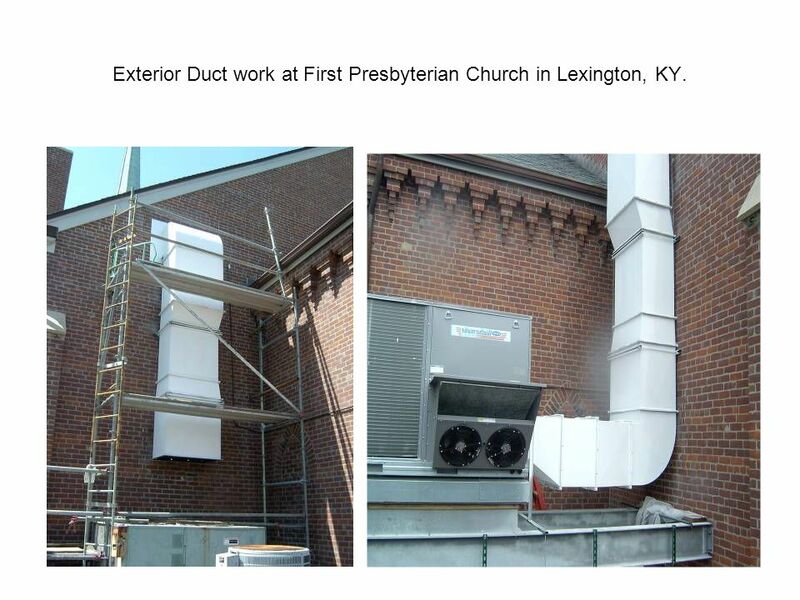 21 Exterior Duct work at First Presbyterian Church in Lexington, KY.
24 University of Louisville Visual Arts School ceiling – CC-100 applied for insulation. 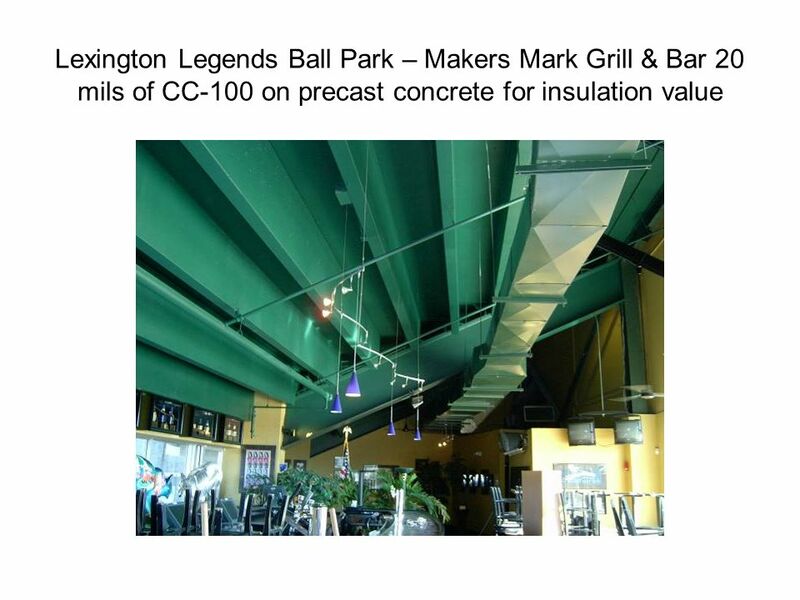 Ceiling is concrete slab with parking garage above. 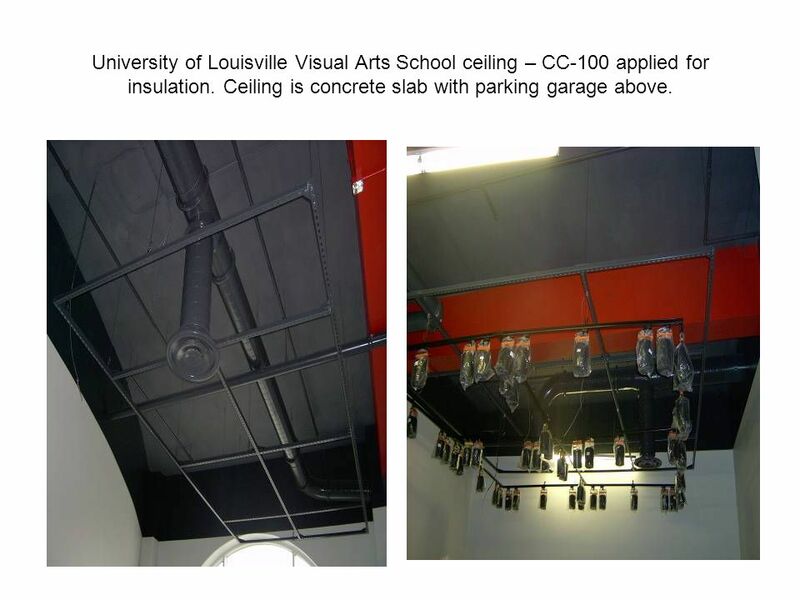 25 U of L School of Visual Art ceiling CC-100 tinted to match architects color Benjamin Moore Paints Cape Hateras Sand. 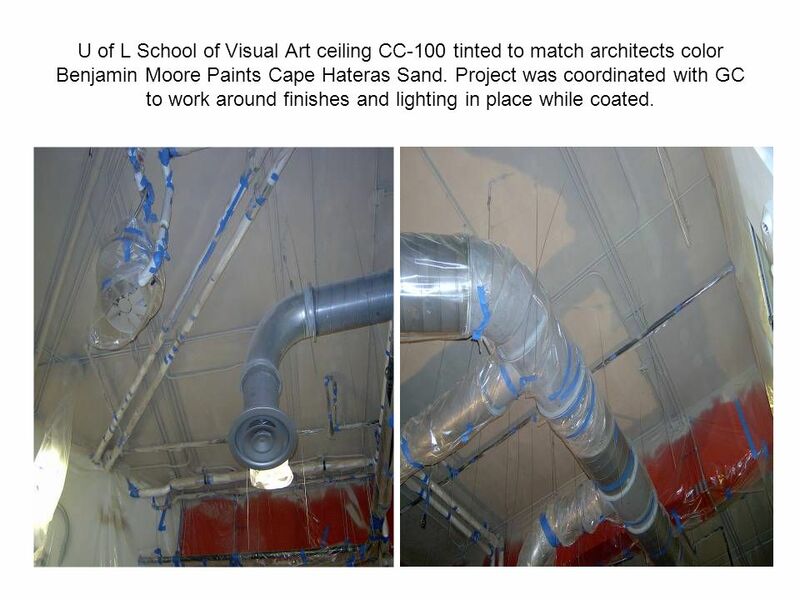 Project was coordinated with GC to work around finishes and lighting in place while coated. 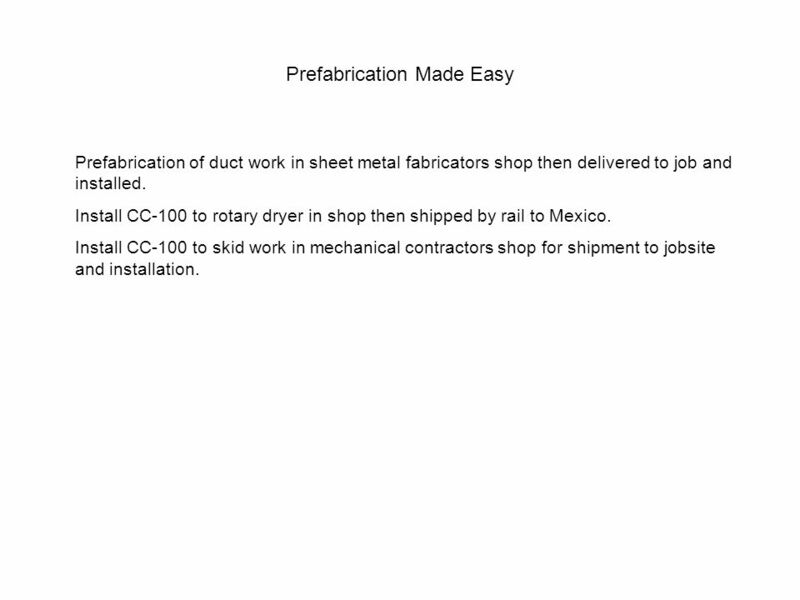 30 Prefabrication Made Easy Prefabrication of duct work in sheet metal fabricators shop then delivered to job and installed. 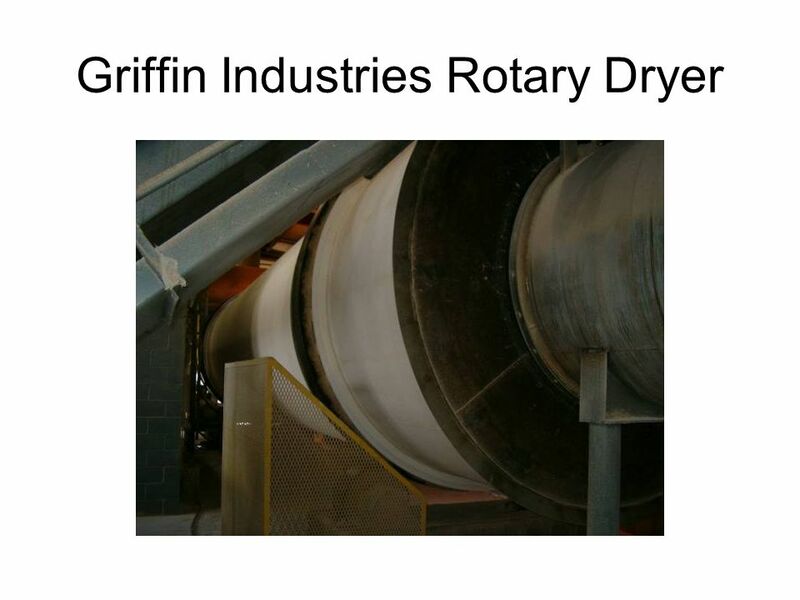 Install CC-100 to rotary dryer in shop then shipped by rail to Mexico. 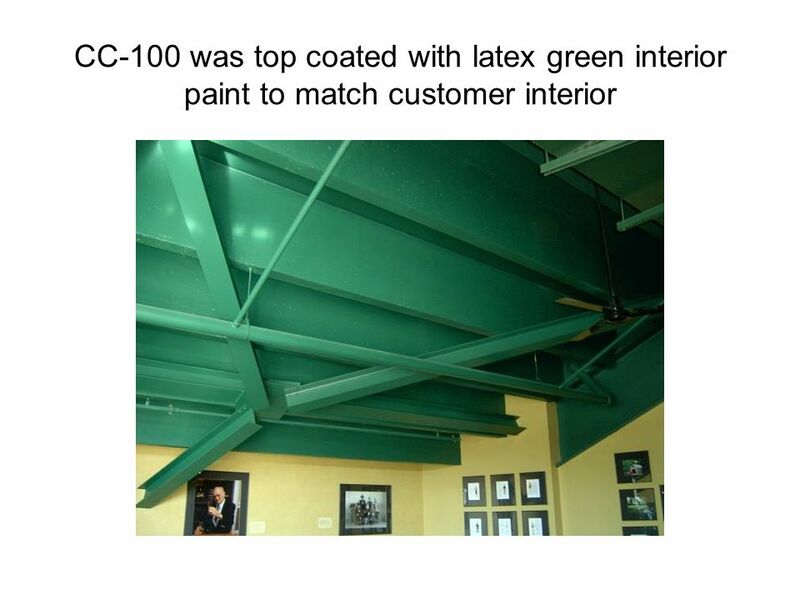 Install CC-100 to skid work in mechanical contractors shop for shipment to jobsite and installation. 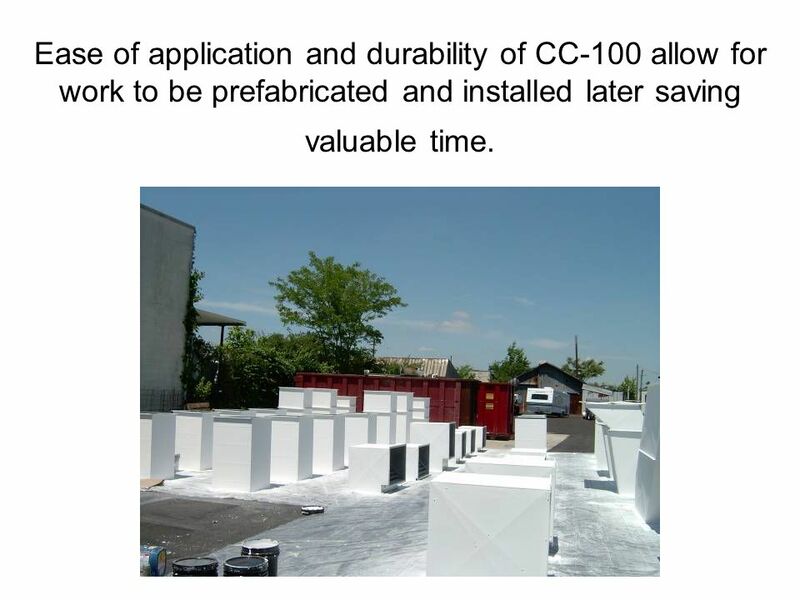 31 Ease of application and durability of CC-100 allow for work to be prefabricated and installed later saving valuable time. 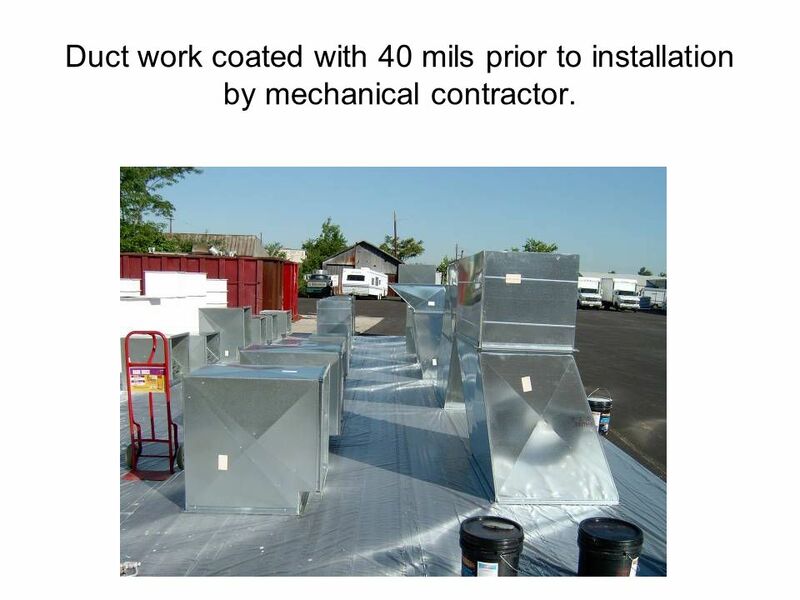 32 Duct work coated with 40 mils prior to installation by mechanical contractor. 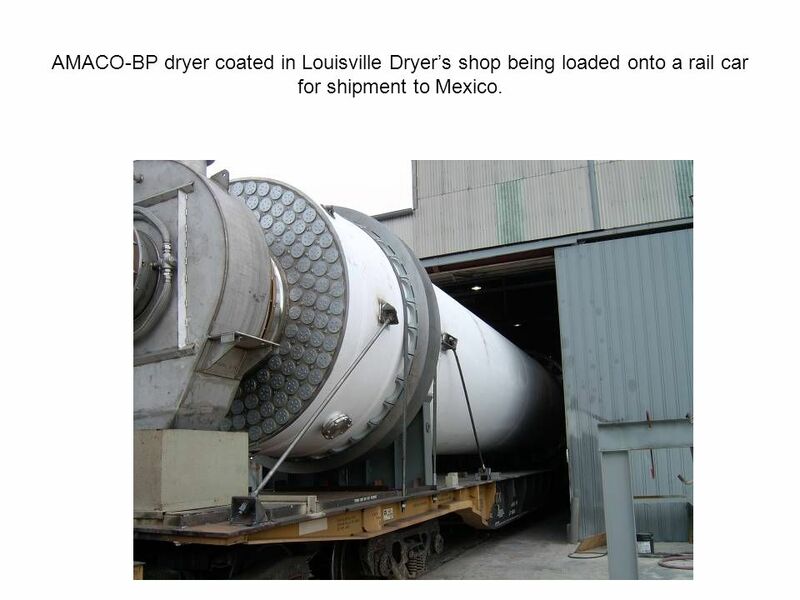 33 AMACO-BP dryer coated in Louisville Dryers shop being loaded onto a rail car for shipment to Mexico. 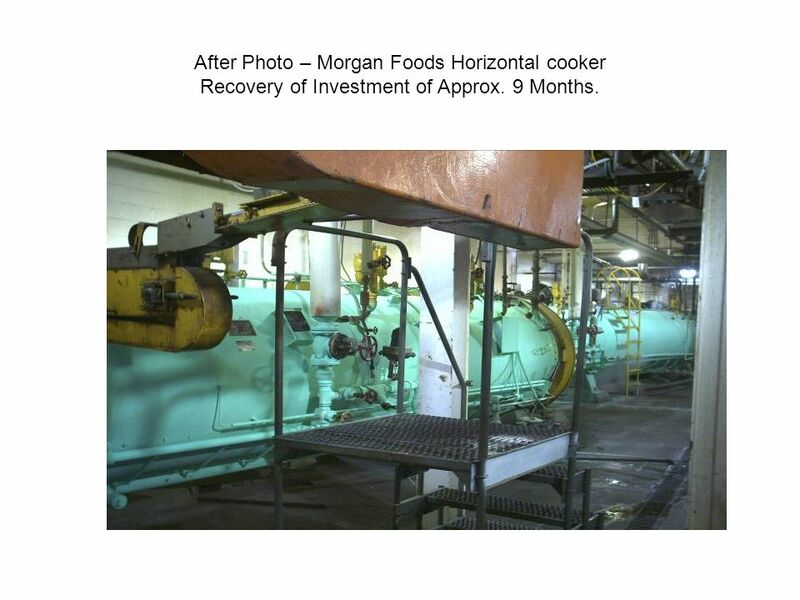 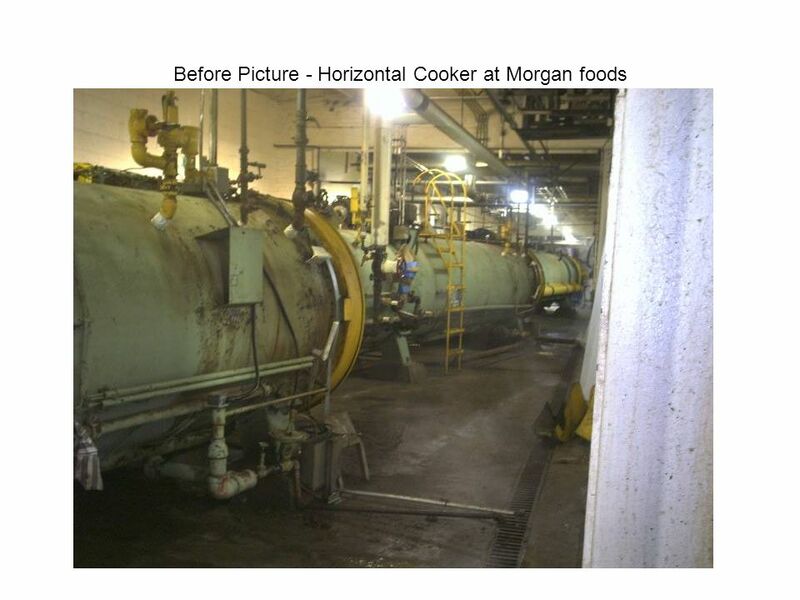 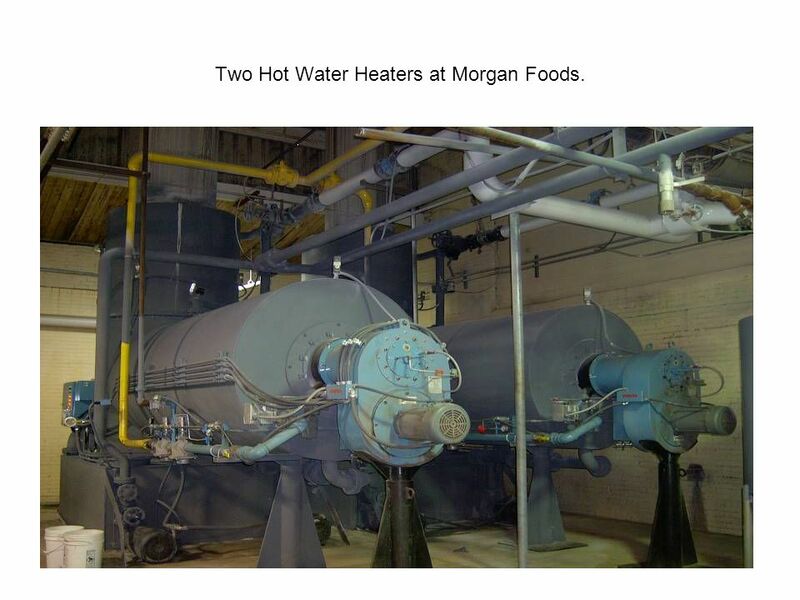 35 After Photo – Morgan Foods Horizontal cooker Recovery of Investment of Approx. 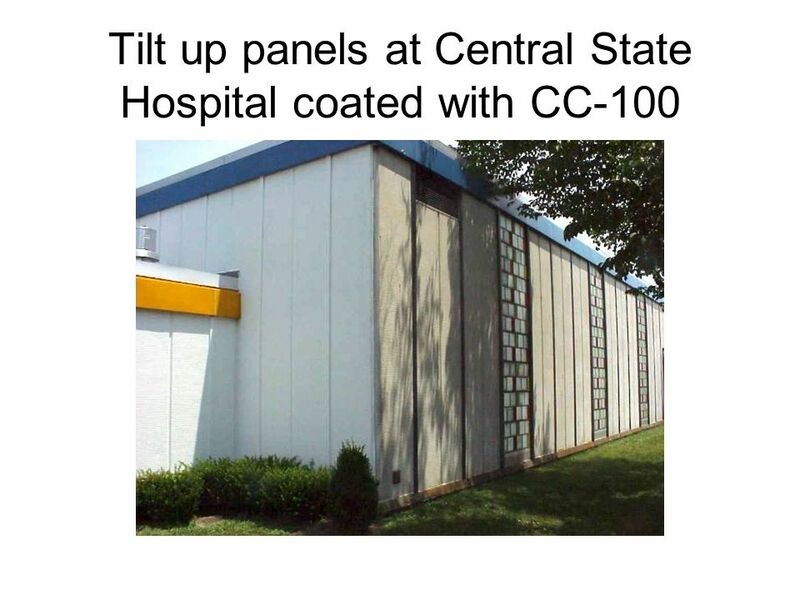 9 Months. 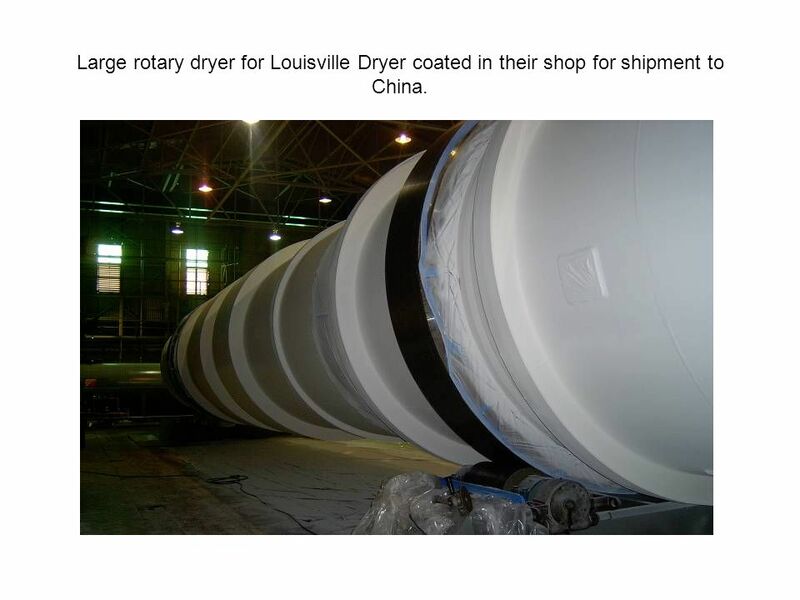 36 Large rotary dryer for Louisville Dryer coated in their shop for shipment to China. 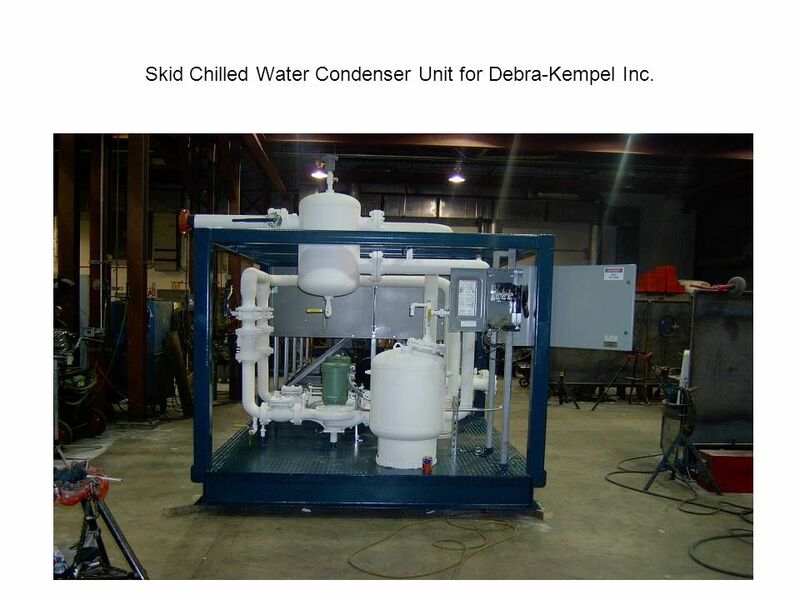 37 Skid Chilled Water Condenser Unit for Debra-Kempel Inc.
38 Debra-Kempel Inc. skid for Honda Motor Corp.
40 Two Hot Water Heaters at Morgan Foods. 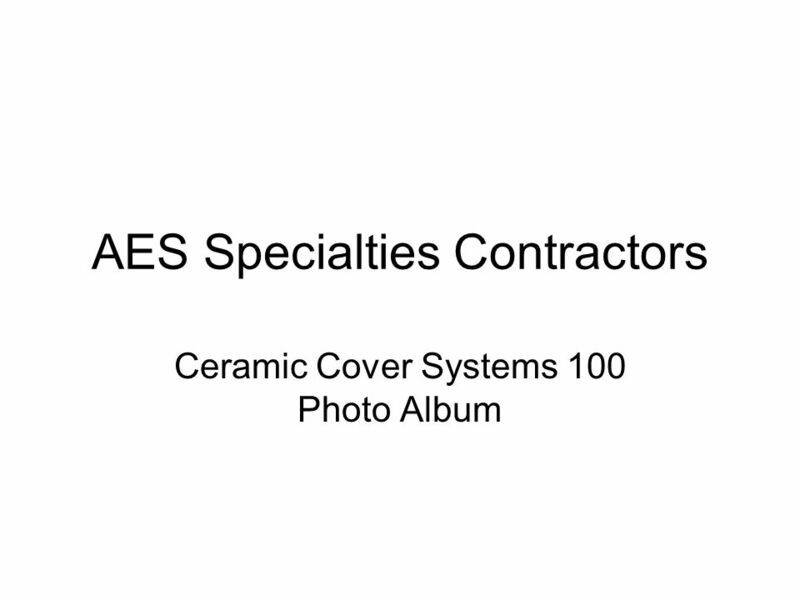 Download ppt "AES Specialties Contractors Ceramic Cover Systems 100 Photo Album." 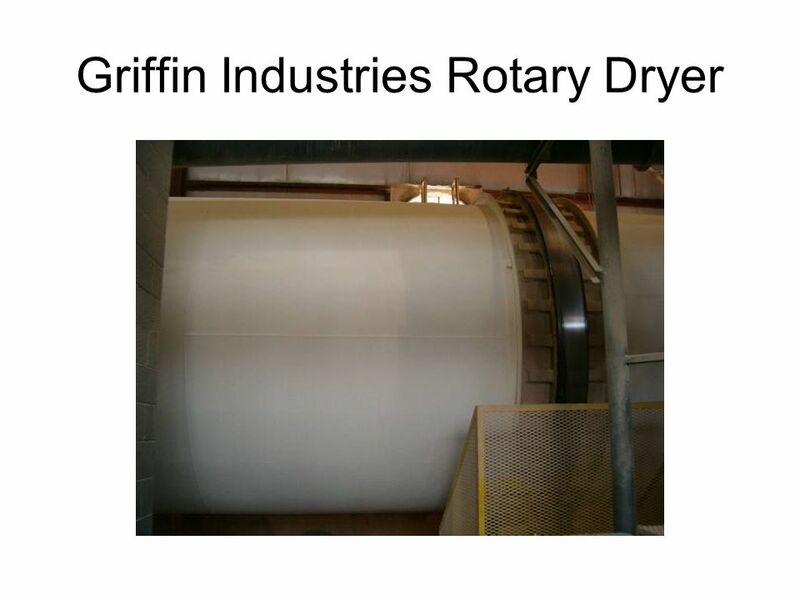 Global Economic Forum, Bloemfontein October 2013. 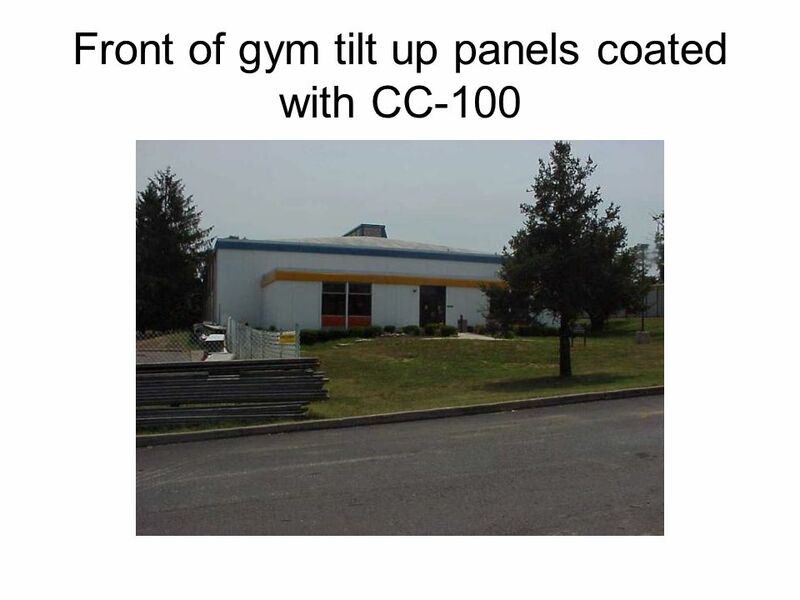 Single Coat 100% Solids Tank Linings SPECIALTY POLYMER COATINGS, INC. 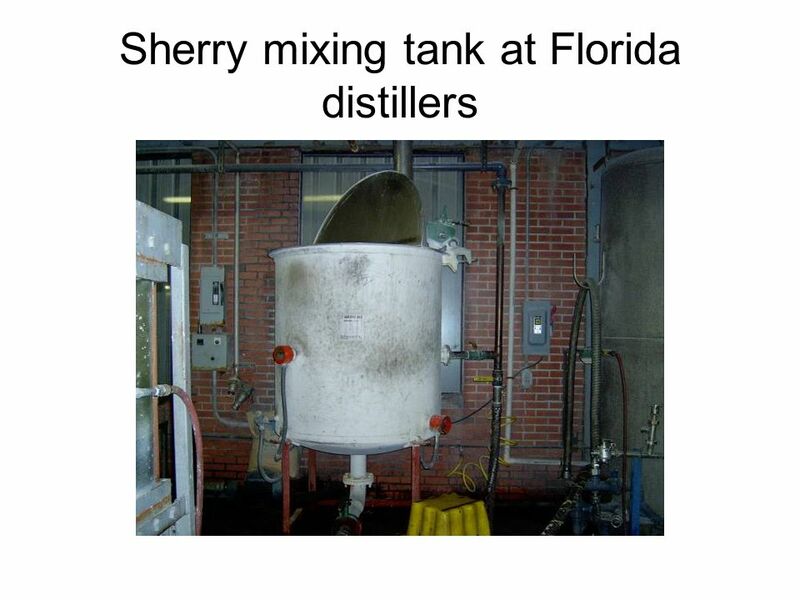 Single Coat 100% Solids Tank Linings. 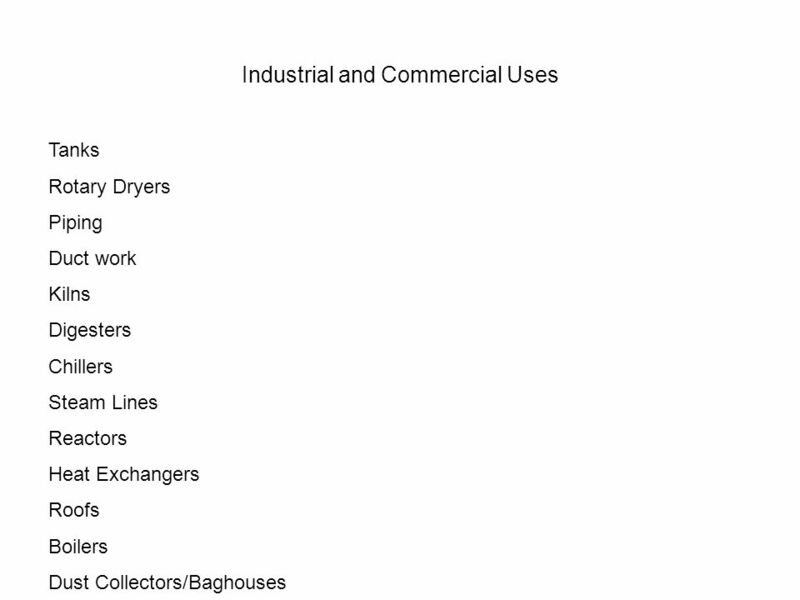 Acoustics 5 Materials Rino D.A. 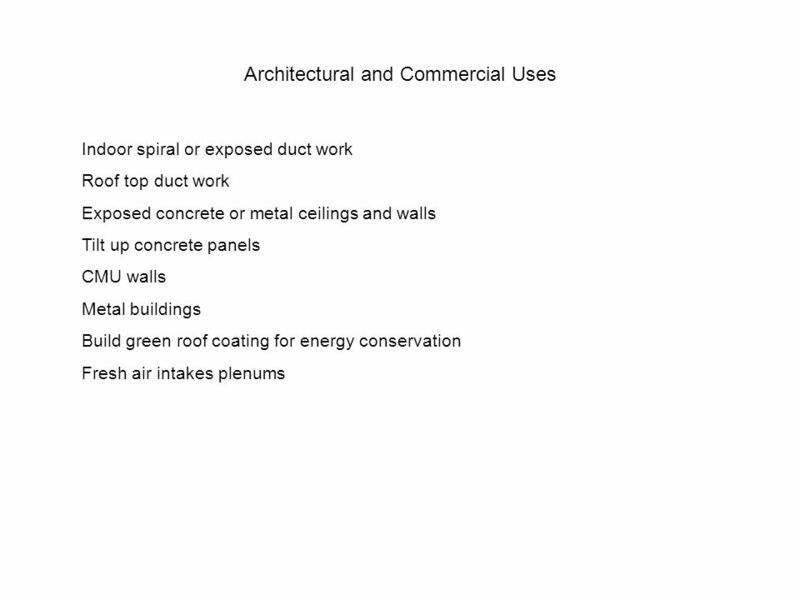 Fernandez, uap Class Instructor. 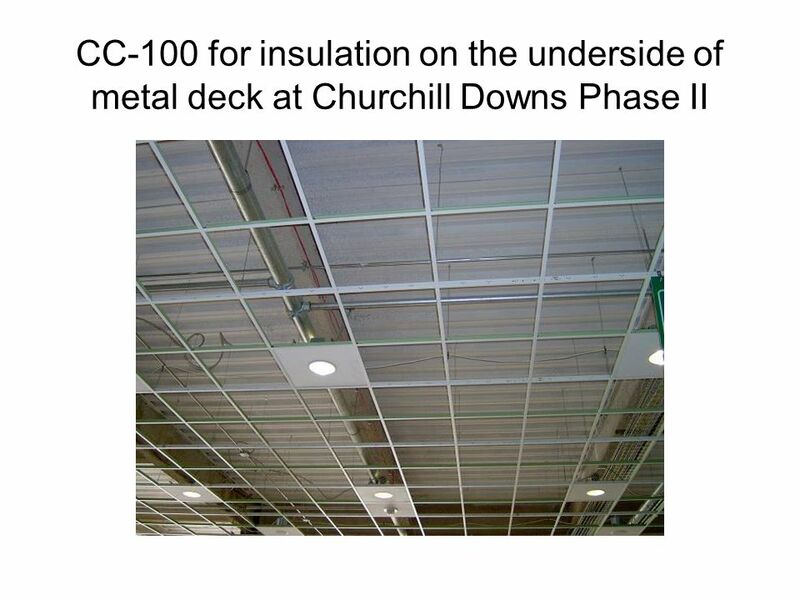 EarthCraft: Insulating Strategies Energy Efficient Insulation Systems by Church Hill Homes. 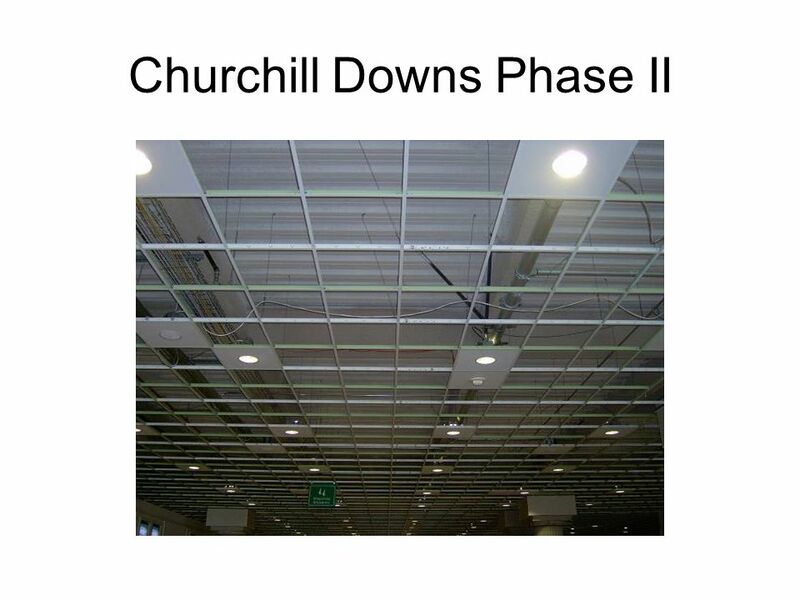 REVOLUTIONARY BUILDING SYSTEM TM. 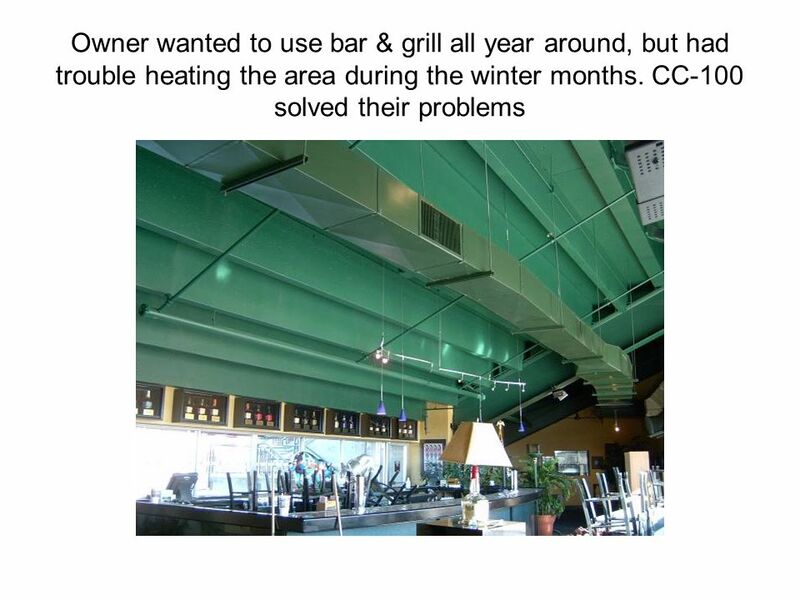 TIMECOSTENERGY THE PROBLEM A NEED FOR INNOVATION. 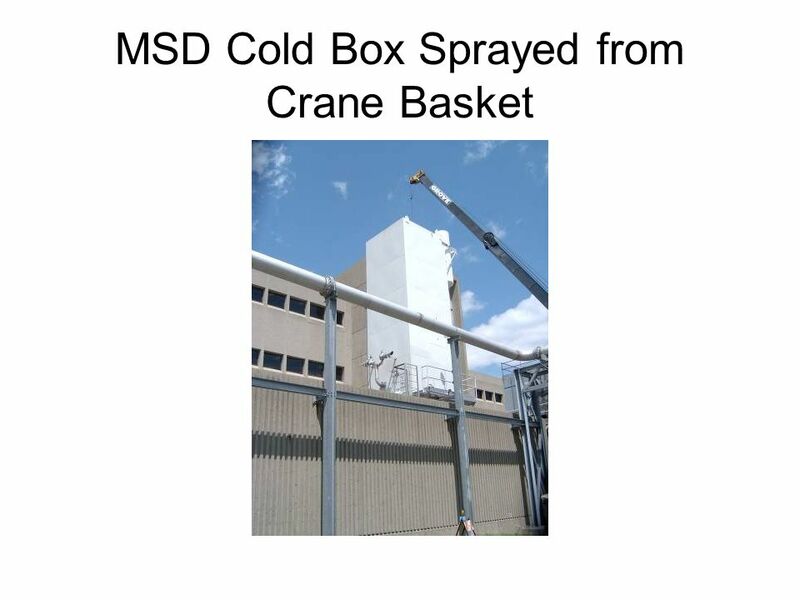 The Miracle Coating! 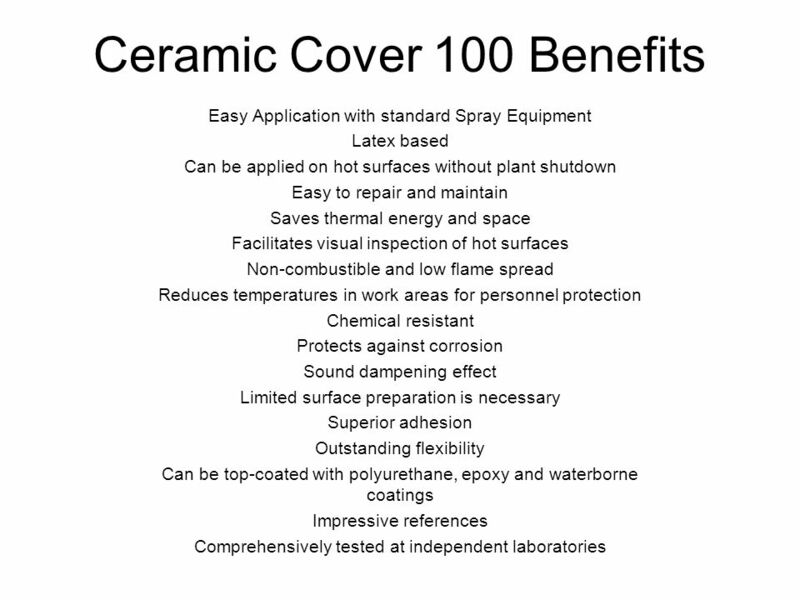 Polycoat 750D What is it?. 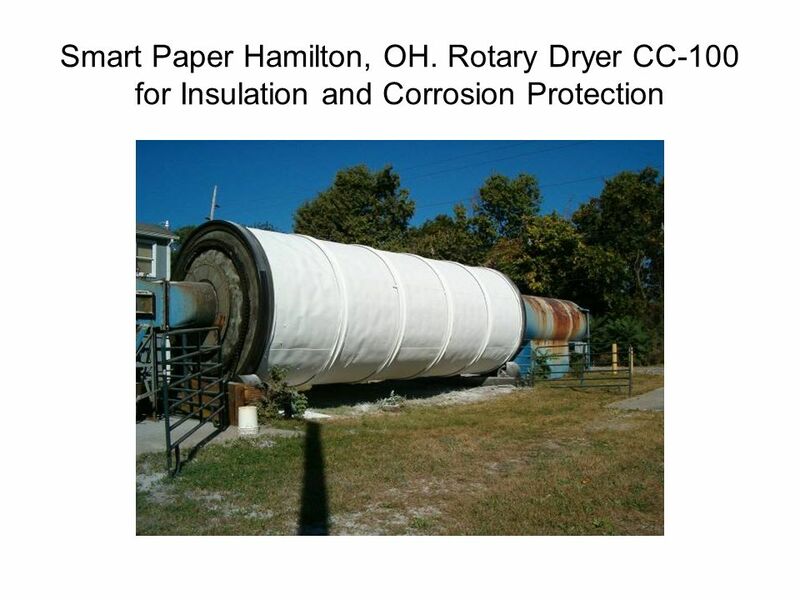 1 Trade Skills HVACR116 Fiberglass Duct Board and Insulation Material. 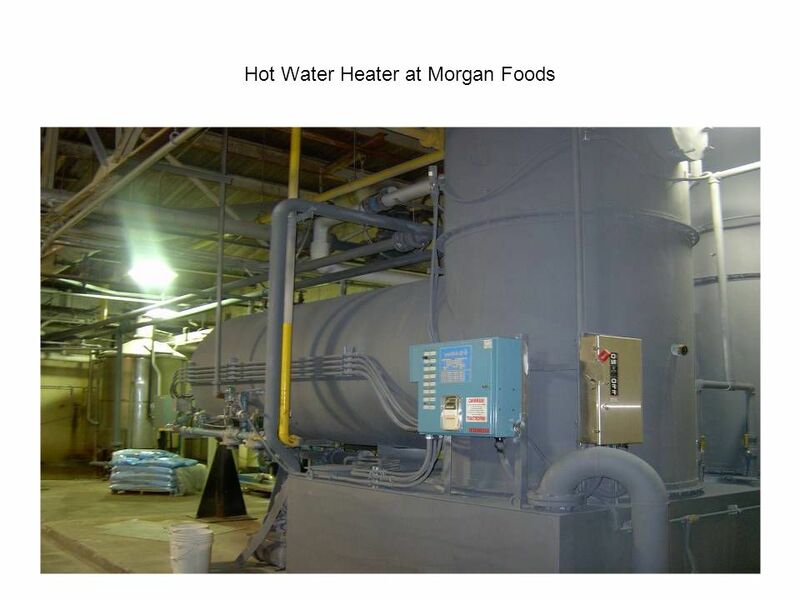 Thermal Efficiency of Buildings Motaz H. Othman Mohammad S. Humaidi Supervised by: Dr. Salameh Abdul Fattah. 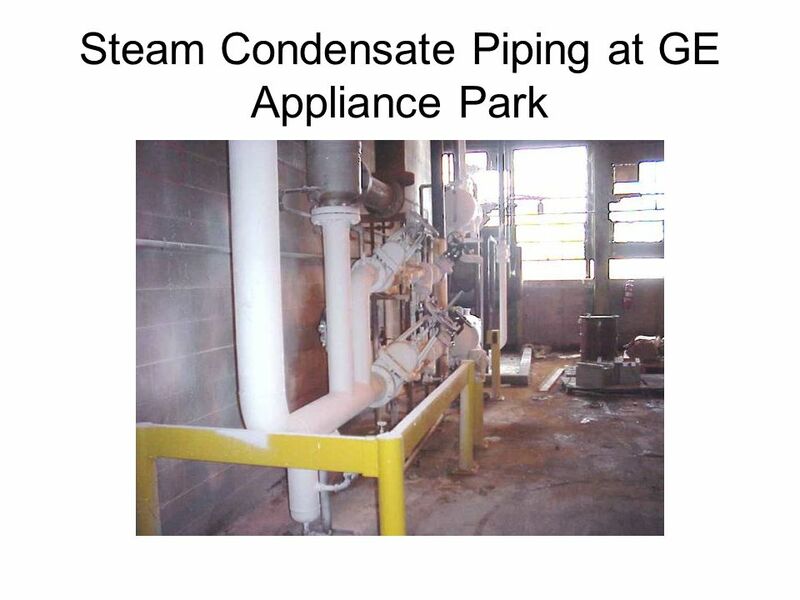 1 | WEATHERIZATION ASSISTANCE PROGRAM STANDARDIZED CURRICULUM – August 2010eere.energy.gov Moisture Assessment WEATHERIZATION ENERGY AUDITOR SINGLE FAMILY.